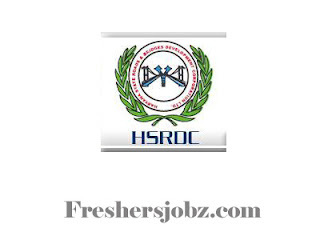 HSRDC Recruitment 2018.Haryana State Roads and Bridges Development Corporation Limited has released a notification for the recruitment of Assistants & Draftsman vacancies.Check the eligiblity and notification prior to apply for the positions. Contenders those who have retired as assistant/ Dy. Superintendent from Haryana State Government/ Corporations and having knowledge of computer, noting and drafting can apply for the assistant post. Contenders those who have retired as a head draftsman/ circle head draftsman from Haryana Boards/ corporations can apply for draftsman post. Through the walk-in interview, contenders will be selected. On 27th September 2018 candidates along with all essential documents may appear for HSRDC recruitment. O/o Executive Director, Haryana State Roads & Bridges Development Corporation, Bays No. 13-14, sector-2, Panchkula.